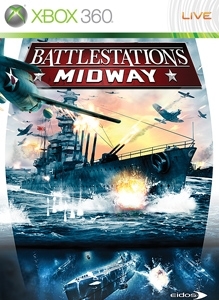 The Iowa Mission Pack for Battlestations: Midway includes a massive new multiplayer map 'Battle of the Sibuyan Sea' a new single player challenge mission 'Raid On Truk', and 5 exclusive new units – the legendary USS Iowa battleship, P-38 Lightning (Allied) and Gekko (Japanese) fighters, the IJN Shimakaze Destroyer as well as a totally new unit type - the Japanese mini-sub. The huge new multiplayer map will see one of the most wanted match-ups in naval history as legendary heavyweight battleships Iowa and Yamato meet in battle for the very first time! There are no refunds for this item. For more information, see www.xbox.com/live/accounts.